Following the Second World War North America and, in particular the United States, began to attract, on a much larger scale than had hitherto had been experienced, graduates of foreign medical schools. Irish medical graduates were part of this global movement. The process raised questions about accreditation and therefore about the standard of medical education in the countries exporting their graduates to the USA. Tensions arose between the perceived interests of indigenous American physicians and those of the migrating doctors. This paper looks at how this was experienced in Ireland. In 1865 Ireland had twenty per cent of the population of the UK as a whole but had thirty-six per cent of all first-year medical students. In 1935, when the Irish population had declined to less than ten per cent of the total population of the British Isles, Irish medical schools still educated twenty per cent of all first-year students. This level of student numbers in Irish medical schools was sustained by emigration. The Irish medical profession did not see this as a loss but as an advantage. Deans of medical schools would often lecture their students on the great advantages open to the Irish medical graduate by emigration. Medical emigration was what kept Irish medical schools in existence in the nineteenth and twentieth centuries. 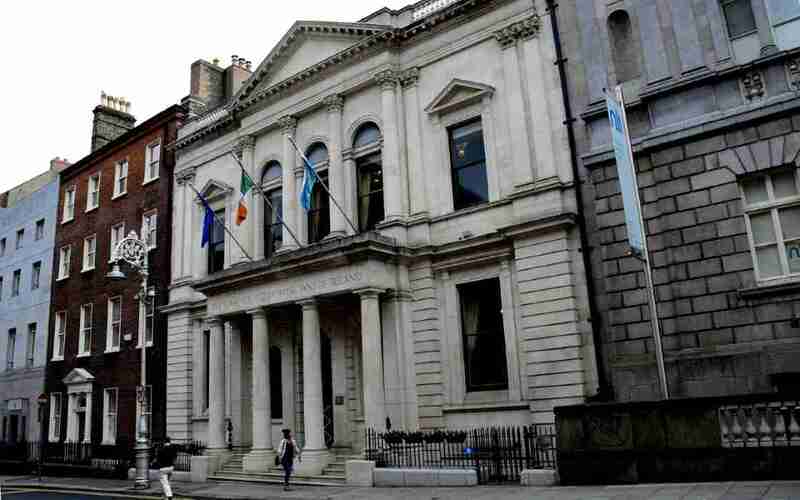 It was the largest faculty in nearly all of the the Irish third-level institutions from the nineteenth century to the first couple of decades of the twentieth. By the 1950s other faculties were becoming as important as the medical faculty in sustaining universities but for a long time the lack of a thriving medical school was a sure sign a university would soon be in difficulties. This was likely to have been one of the reasons why the National University of Galway was enticed to offer themselves to American G.I. undergraduates. The medical culture and institutions in Ireland were also sustained at a much higher level than might otherwise have been possible by the large numbers of medical students they had enrolled which exceeded for all the period from 1860 to 1960 the number of medical posts available in Ireland itself. The possibility of medical migration depending upon access to the medical marketplace in the destination country. Britain and the British Empire was the most important destination for Irish medical graduates from 1860 to 1960. This was facilitated by the inclusion of Ireland in the medical register of the United Kingdom established in 1858. However, Irish political independence from 1922 was feared to threaten access. In 1925 to 1926, this led to a major confrontation between Irish doctors and the Irish Free State when the Irish government intended to create a separate medical register and disciplinary body which in the view of many Irish doctors and especially the representatives of Irish medical schools had the danger of potentially complicating access to the medical marketplace of Britain and the British Empire.